The Double Cleansing method I wrote about before (here). To sum up, I’ve been practicing it for a few years now as my night time cleans and it works great for my complexion. Besides being thorough, it is also important to use the right high quality products for your skin type and condition. 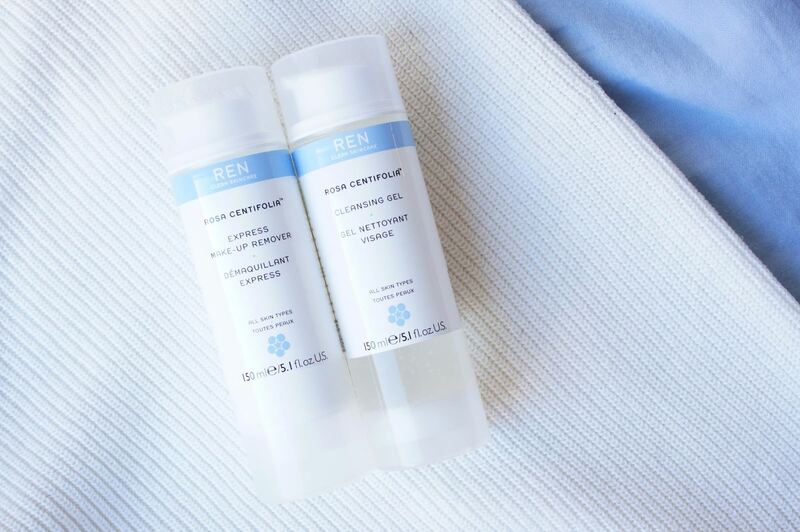 In this post I wanted to tell you all about the amazing Ren Skincare duo I’ve been using for the past two months. 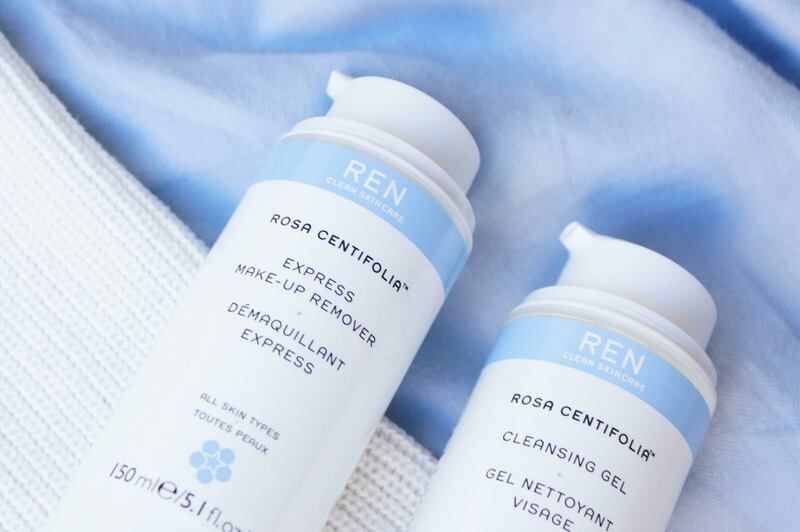 I start my cleans with Ren Rosa Centifolia Express Make-Up Remover (18,49€), apply one pump on a cotton pad and press it against the second cotton pad, and sweep them over my closed eyes. This silky milky makeup remover is formulated to leave the skin cleansed, toned and purified. It contains Tannings from the Rose Centifolia (that tone and tighten pore size), Rice Brain Oil that soothes and hydrates and a Vitamin P from Rose Petals (that protects the capillary system). It removes all face and eye makeup, including waterproof mascara (I mainly concentrate on the eye area, since I follow up with another cleanser), it’s gentle and it doesn’t irritate my eyes and it doesn’t leave the skin feeling tight. I would say it’s best for those with drier or dehydrated skin, however it says it’s suitable for all skin types. The scent is lovely and delicate, nothing major. When I am wearing full-face makeup, I like to go for a double cleans in the evening. 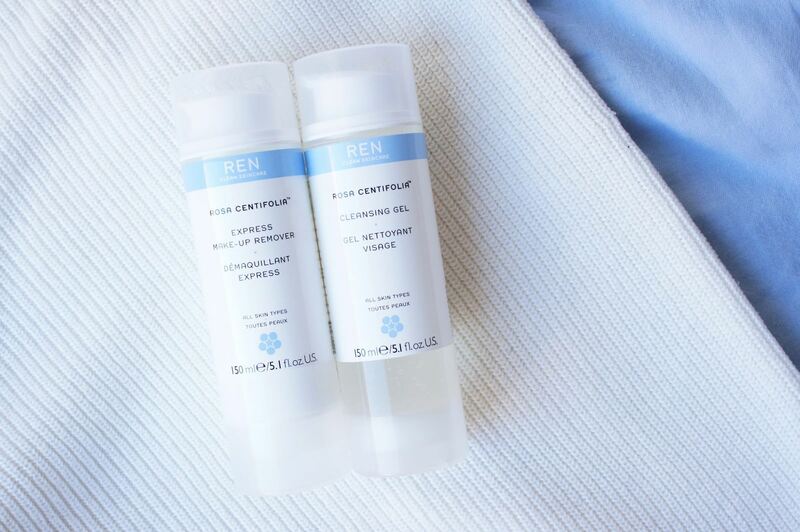 In the morning, using one gentle cleans works great for me, but in the evening I like to make sure that my face is free of all the makeup and impurities. 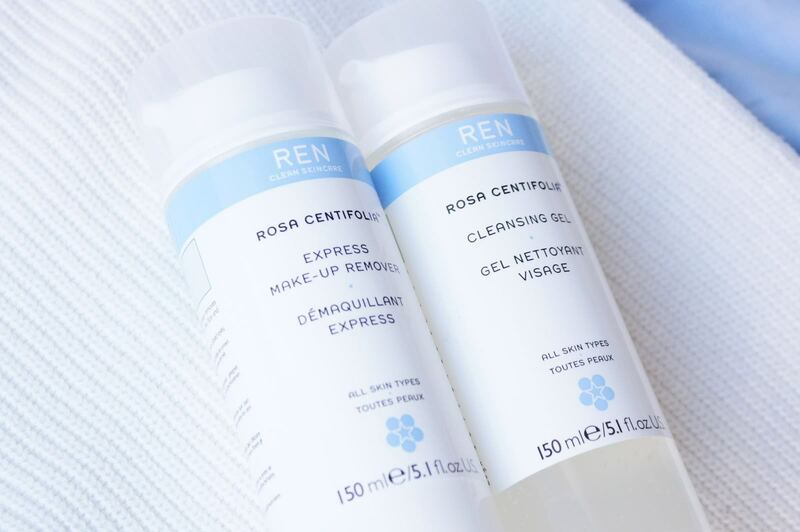 The second cleanser I’ve been using recently is the Ren Rosa Centifolia Cleansing Gel (19,59€) which is similar to the foaming one that I mentioned before (here). It is a detergent and soap free gel cleanser that removes makeup, oils, dirt and pollution without the stripping effects of sulfates. I press one pump on my damp hands and gently massage over my face and neck, rinse off with water (after the first cleans in the evening; individually in the morning). No extreme tightness after this one as well, which is a huge plus for me. It has a lovely rosey scent, stronger one than the Express Make-Up Remover (I am not a huge fan of heavily scented products, because they can be irritating; however in cleansers they don’t bother me, since I rinse them off). The formula contains Polyphenols from Rose Centifolia (that decongest the skin, soothes and protects facial vessels), Polysaccharides from Aloe Vera (that retain moisture and soothe) and Rose Otto Oil from Damask Rose Petals (that calms and soothes). After rinsing this one off, my skin is thoroughly cleansed, I follow with my usual skincare routine. To sum up, these two won my heart (or better: skin), I would definitely recommend them to all those with normal, mixed, dry or dehydrated skin.